By writing this book Chris Waters has, with a flourish of his pen, made a not insignificant part of my library redundant. Fast Fury, The Freddie Trueman Story, Ball of Fire and As it Was, published in 1961, 1965, 1976 and 2004 respectively, are works of autobiography by the great fast bowler. I suspect that it is unlikely now that I will ever get round to reading any of them. Waters’ book is by no means the first biography of Fiery Fred either. Long time Test Match Special colleagues John Arlott and Don Mosey with, respectively, Fred – A Portrait of a Fast Bowler in 1972 and Fred Then and Now in 1991 have both had a go. CD Clark’s 1980 published The Test Match Career of Freddie Trueman, while only dealing with one aspect of his life, is not far outside the genre, nor is John Morgan’s Trueman’s Tales that emerged shortly after his death in 2007. Which all goes to underline the fact that Trueman has always been box office. As Waters explains he was never less than acutely conscious of his own worth and he seldom took any steps to discourage publicity. Indeed he often sought to enhance the value of his burgeoning image by telling tales about himself that were either exaggerated or, on occasion, quite simply untrue. If this biography does nothing else its lengthy acknowledgements section demonstrates that it will forever stand as the definitive attempt to set the record straight in relation to which Trueman stories are true, which are less than entirely accurate, and those that are apocryphal. The life stories of cricketers from Trueman’s era often concentrate almost exclusively on cricketing matters and the somewhat formulaic season by season accounts that are the result seldom create very much interest. There are no such problems with Trueman of course. He was always his own man and, whether for his cricketing prowess or his extra-curricular activities, was never far from the headlines. I have little doubt that, had he been so minded, Waters could have produced a tome as weighty as Steven Waugh’s remarkable autobiography, without coming close to running out of material. 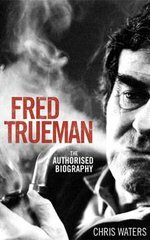 If there is a problem with Fred Trueman – The Authorised Biography it is that so much of the material is well known. That said previous accounts are rarely consistent. By way of example anyone with the slightest interest in the period knows that Trueman’s conduct on the tour of the Caribbean in 1953/54 was a blight that held back his Test career for years. There are varying versions from numerous writers of the many aspects to that story but Waters’ meticulously researched account demonstrates that while Trueman was certainly the author of some of his own misfortunes, he was by no means guilty of all that he was condemned for. In many ways the most interesting passages of the book are those where Waters seeks to unravel the contradictions in his subject’s personality. Trueman’s attempts throughout his life to reinvent his roots are unexpected, as are his political and religious views. His antipathy towards the stuffed shirts of the MCC is not so surprising, nor is his vendetta with Geoffrey Boycott that arose out of the internecine strife that afflicted Yorkshire in the late 1970s and early 1980s. Never a shrinking violet, and always the hard-nosed Yorkshireman, his excellent relationship with Peter May, and his taking the lead in the subsequent healing of the rift with Boycott, are in stark contrast. The book itself is very well produced. There is an excellent index and some interesting photographs, albeit not as many as could perhaps have been accommodated. I would certainly have preferred that the nine page bibliography be replaced with a statistical record of Trueman’s career. The omission of such an appendix struck me as rather odd, although Waters might argue that its absence is in keeping with this being a book as much about Trueman the man as Trueman “T’ greatest bloody fast bowler who ever drew breath”. But in the scheme of things that is a minor point. What is important is that Fred Trueman – The Authorised Biography is a terrific story. It is highly recommended.